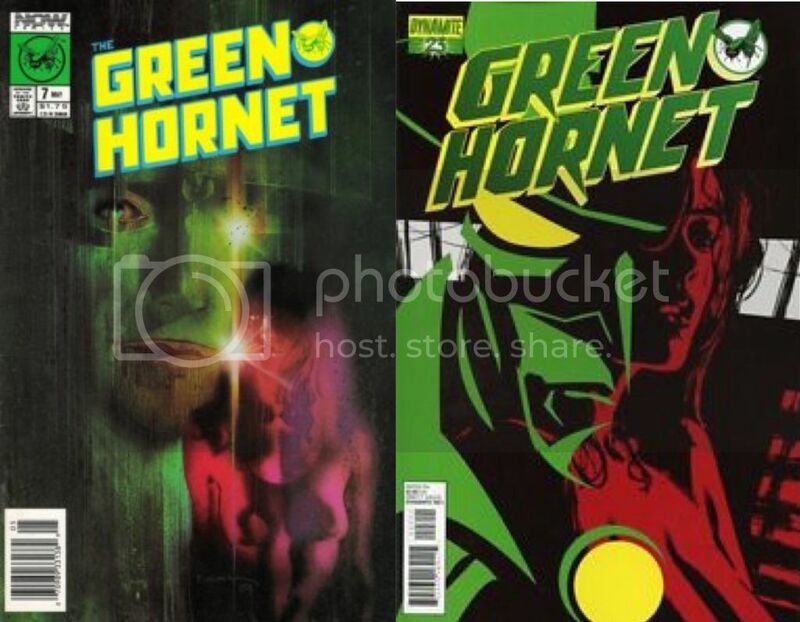 The only issue of Green Hornet: Year One that I do not have is the special (I purchased the omnibus, and that issue was not included). I noticed that a different author wrote the book. Is that comic as good as the rest of the series? No. It's a stand alone issue that has NOTHING to do with the "year one" run. Don't bother unless you can pick it up REAL cheap! It's OK. I mean, it's a fun story and not terrible. Not in the same class as Wagner & Campbell's series, though. I was always a huge fan of the NOW run and while the multi-generational aspect had a few hiccups here and there it was really cool to see it play out. Today i started picking up some back issues from the Legacy Run. The funny thing is....among today's pick-ups was issue 23 which as you'll see below has a remarkable resemblance to issue 7 of NOW's initial run. I started as a fan of the TV show then while traveling with the family I saw a cassette of the radio show (I didn't realize what it was at the time) and was hooked on the radio show. Send me a PM with your address and I'll send you copies of the six MP3 disks of the show. Like you I loved the Now run. It's funny how at the time the Copyright holder force Now to drop the female Kato but we got a female from Dynamite with no problems. Moonstone did 3 TBPs of Green Hornet short stories that were pretty good. If anyone from DE is reading,would it be possible to have a limited run of GH books. One set in the 30s and another set in the 60s....perhaps? I,ve been buying a lot of the limited runs. Would love to see Britt Sr and Jr in a 8 to 10 issue run.Perhaps a timeline crossover. Your timing is rather awesome! A Green Hornet/Lone Ranger book seemed like the most obvious thing but I'd sort of given up on seeing it. Cool that Dynamite finally found a way to publish one that they feel comfortable with. I was happy to see it announced on the day you happened to ask about the possibility of a new Hornet book.